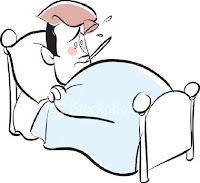 Dr. David Jernigan, Biologix Center: Flu Season is coming...NOT! Do we really believe Flu-viruses and Bacteria are stronger in the Winter time? Every year the pharmaceutical/medical mass media marketing begins in the Fall-season and proceeds through late Spring in fear-mongering everyone into believing they must get flu shots. When considering the fact that historically influenza viruses have killed many people throughout the last hundred years it would seem justified to think we should be thankful for vaccines. The truth is that no virus or bacteria can replicate out of control and cause disease in an optimally healthy person of any age! In a dominantly poorly functioning society of people who are loaded with environmental toxins and pesticide/herbicide/fungicide/preservative-laden foods, not to mention the deleterious effects of the average American taking an average of 12 pharmaceutical suppressive/symptom-masking medicines that are weakening the overall integrity and function of the body, it is no wonder when Fall, Winter, and Spring come the body is dragged even further down in its ability to resist microbes and virus’! Last year’s Swine Flu fiasco is a great example of how the “power-that-be” see the world population not as people, but as “sheeple” that can be lead to do anything without question. Thankfully Americans are getting wiser and only a third of our population submitted their body to the Swine Flu vaccine. In the end, the Swine flu virus was 40 times weaker than we were being told and the reported statistics of people affected were misrepresented by the WHO and our government since every person with flu-like symptoms and/or pneumonia was assumed to have Swine Flu, which was not the case. When the WHO (World Health Organization) finally released a list of its pandemic advisers, it finally confirmed that at least five of the key players who influenced the phase six pandemic declaration indeed had financial ties to vaccine makers. The reality is that EVERYTHING you read about how deadly or potentially harmful a flu or any other infection is projected to be is based upon the anticipated response in a DYSFUNCTIONAL population! No virus is more lethal in the colder months of the year! No bacteria are more lethal in the colder months of the year! 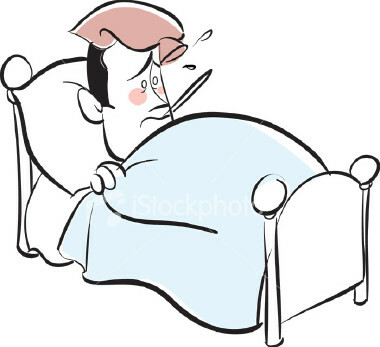 It is your body being dragged down by the cold that sets up the situation for you to get sick. This year bypass the toxic, virally contaminated, fear-mongered, money-motivated vaccines and take these simple action steps to keep your body absolutely healthy all year-round. • Find a natural/alternative medicine doctor who can help you improve the overall health of your entire body, structurally, chemically, and electromagnetically. Preferably a doctor trained in Biological Medicine. • Practice good hygiene. Keep your fingers out of your mouth, nose, eyes, and ears. Wash your hands after touching high traffic things like escalator rails, door knobs, taxi seats, when shaking lots of hands… Use NanoDerm Lotion on your hands as it will form an undetectable barrier against any bacteria and virus. • Eliminate from your diet every food that is not prepared fresh and chemical-free, including chemical/hormone/antibiotic-drug-free meats. No processed and prepackaged foods and drinks. • Exercise! This step is huge in its importance! Any exercise that will move every muscle everyday is good. For those who for any reason cannot get up the will to exercise or for some health reason cannot exercise I highly recommend the professional-model Vibrational Platform Therapy. At this point there are several companies out there who are producing or selling similar machines, but the our doctors have worked with the company we use and have had them provide us with a better motor than is available at this time on the open market…yes I know it sounds like salesmanship, however it is the truth at this time. It is the proverbial “Buyer beware” when buying this type machine. • Sunshine or the latest healthy and yes I mean HEALTHY, vitamin D promoting, Light therapy beds. I don’t call these particular beds “Tanning beds” since the point is not to get a Hawaiian tropic tan, but with the various colors of the lights in this bed it actually heals your skin and cranks up the Vitamin D. Used as directed these new beds are a must year-round, but especially during the colder months when the sun is further away from the earth. Naturally occurring Vitamin D produced by your own body, is infinitely better for you than ANY commercially produced nutritional supplement of Vitamin D! Naturally produced Vitamin D activates some of the most potent anti-cancer, antibacterial, and antiviral effects known to man! • Take frequency-matched botanical supplements like Virogen at the first possible symptom and if it still progresses then switch to Microbojen. • Diffuse therapeutic-grade essential oils in your house and workplace. These quality pure oils are naturally hypo-allergenic and kill many viruses, bacteria, and fungi ON CONTACT! They are very health-promoting to all the tissues of the body. There are a few really good essential oil companies, however the one I have used for many years with consistent results is the Young Living Essential Oil company. For respiratory and antimicrobial help I recommend diffusing and applying topically on the skin…the oil blends, R/C blend, Thieves blend, Citrus Fresh blend, Transformation blend, and ImmuPower blend.